Concerns about the spread of automation and the use of artificial intelligence in the workplace are growing. Companies like Uber are hard at work developing technology that would allow for pilotless trucks. Ultimately, a switch to self-driving solutions could displace nearly 300,000 truckers per year. 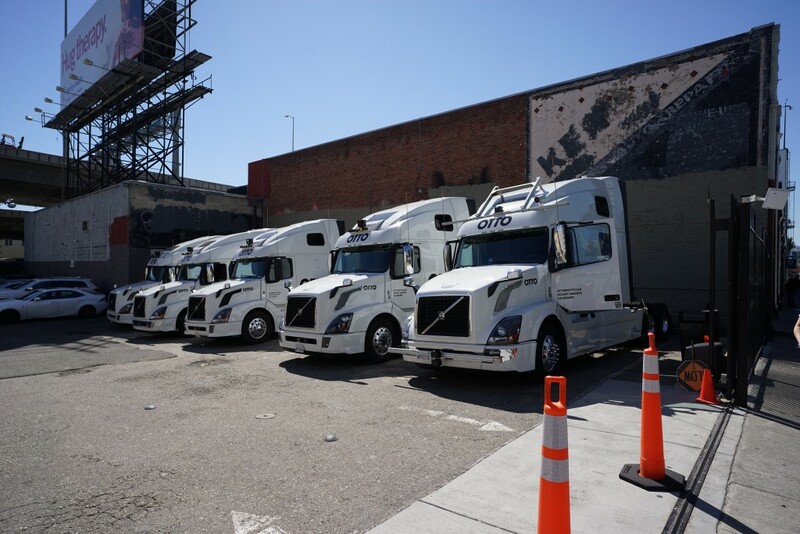 Uber purchased the autonomous trucking company, Otto, with that goal in mind. Otto is developing a solution that will reduce or eliminate the need for humans. While they have encountered some technical and legal challenges, as the technology matures, it will pose a threat to trucker’s job security. Since many truckers enjoy the benefit of labor protections, a good question to address is how do labor rights interact with the drive for automation? This issue can be examined with a hypothetical. What would happen if a trucking company wished to acquire a fleet of Otto trucks, which would replace the majority of their truckers? Additionally, how would that decision be affected if the truckers were a part of a bargaining unit? The Trucker’s union would argue that under the Collective Bargaining Agreement (“CBA”) buying and using a mechanical replacement for human work would be a mandatory subject of bargaining. If the employer refused to negotiate, the Union could threaten to take legal action to force negotiations. The employer might not want to negotiate and would look to see what options they could exercise. In this scenario, would the employer acquiring a fleet of Otto Trucks be subject to permissive or mandatory bargaining? The National Labor Relations Board (“the NLRB” or “the Board”), under the regulatory framework of the National Labor Relations Act (“the Act”), would be the forum where that question would be decided. To start, the outcome would depend in part on the Act. Under Section 8(d), employers and union representatives have to meet at reasonable times and confer in good faith regarding wages, hours and conditions of employment when an employer proposes to change a facet of the Agreement. The Board has a string of precedent holding that technological changes that affect an employer’s unionized workforce is a condition of employment subject to mandatory bargaining. Cases like Renton News and Leach Corp. highlight the Board’s extreme caution when dealing with technology that might lower headcount. In Leach Corp., for example, even though the employer’s proposed solution made no fundamental change to the employer’s processes, the switch to automation itself was likely a mandatory subject of bargaining. Absent the union waiving its right to bargain, unilateral changes to conditions affecting employment involving mandatory subjects of bargaining are a violation of the Act. This could put the trucking company in jeopardy if it decided to move forward without discussing the changes with the Teamsters. For this reason, management-side labor firms similar to Littler Mandelson P.C. recommend that employers negotiate robust and far-sighted management rights clauses when first negotiating or renegotiating their CBA. They should reserve the employer’s right to make operational changes and include a “no-strike” clause that prohibits striking over changes during the agreement’s term. For employers planning to implement automated solutions, it is in their best interest to seek specific clauses allowing them to adopt technological or automated solutions without bargaining with the union. If written clearly and unmistakably, this clause would be viewed by the NLRB or other regulators as a waiver by the union of its right to bargain and would provide the employer with protection. Thus, as more companies look to automate in the coming years, getting input first from their employment counsels will be a critical step in ensuring a smooth implementation without the interference of labor. Patrick Wilson is a staff member for the Wake Forest Journal of Intellectual Property and Business Law and a second-year law student. He clerked this past summer in the Office of Judges at the National Labor Relations Board in Washington, D.C.